As the countryside in Britain becomes more industrialised and urbanised, there are fewer places for wildlife to live and wildflowers to grow. But there are tiny areas in every village, town and even city that are holding out against the onslaught. These are churchyards, and in some parts of the country they are the only protected eco-systems in their area where remnants of the local flora and fauna can survive. The powerfully-named ‘Living Churchyards’ project is not so much a vision of the dead rising up as the dead providing sanctuary for species whose living space had been cut back. Now more than 6,000 British churchyards run their small plots of land as sacred eco-systems – without pesticides, and mowing the grass only once a year – ensuring that birds, reptiles, insects and bats can thrive. This is an example of restoring something that has always existed – the local churchyard – as an embodiment of the church’s core teachings about respecting nature. The scheme has been outstandingly successful for several reasons. Firstly because it immediately makes sense, secondly because it is simple to execute, thirdly because it is theologically sound and fourthly because it enables millions of local people, through churches, schools and community groups, to be involved in a manageable environmental project. The scheme is also spreading to municipal cemeteries, as well as to other faith groups in Britain – some Muslim and Hindu communities are working along similar lines. It has brought together statutory bodies concerned with nature, heritage and the formal running of church sites. For further details on how you might transform your own local churchyard into a Living Churchyard, please visit Caring for God’s Acre, working across England and Wales. The Cornwall Living Churchyards Project is a joint initiative between the Diocese of Truro and Cornwall Wildlife Trust. 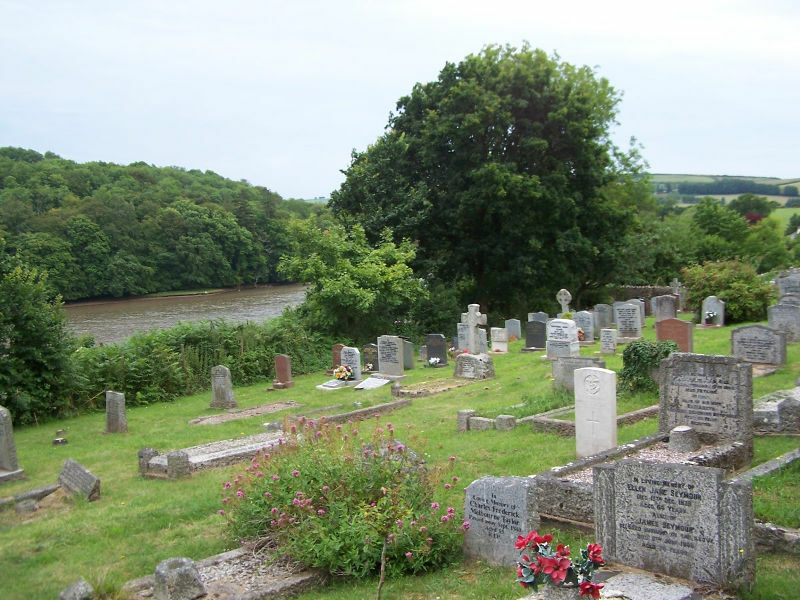 Its aim is to work with the local community (not just the church congregation) to promote the sympathetic management of Cornwall’s churchyards which can provide an important refuge for a diversity of wildlife as well as a pleasant, reflective sanctuary for the local community. The project aims to strike a balance. A churchyard managed with sympathy and understanding for wildlife can look well cared for and be attractive to people as well as plants and animals; conservation is not about letting things grow unchecked, but about positive management. To find out more about Cornwall Living Churchyards, contact Robert Moor on 01872 272929/ 07813 533995 or email rmoor@penmoor.co.uk. 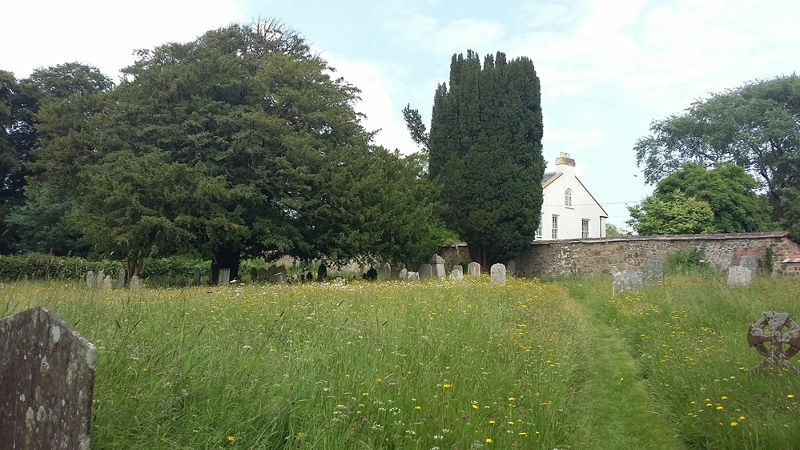 Churchyards are one of the most enduring features of the Devon landscape and are a very powerful symbol of shelter and sustainability in our culture. Overall they make an important contribution to the local environment and to the quality of life of the local community. They are not just communities of the dead; they are thoughtful places, reflecting the impact of time on humankind and our efforts to escape oblivion. They are expressions of history – full of personal and community stories. 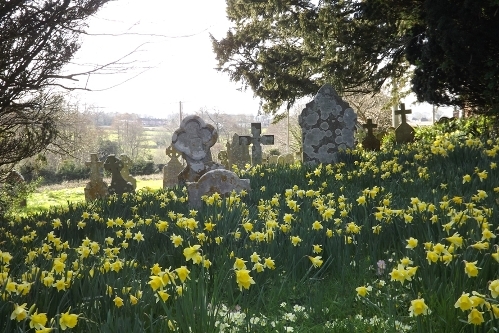 Churchyards are also peaceful havens for wildlife, containing old and distinctive trees, wildflowers, lichens, rare fungi, mosses and ferns and provide food and shelter for many animals including small mammals, amphibians, slow worms, insects and birds. To this end it works in active partnership with other denominations and secular environmental organisations such as the Devon Wildlife Trust and ‘Get Devon Buzzing’ scheme. There are 23 churches registered so far in the scheme. Foraging for wild food is a gift from our past, a heritage skill passed down through generations – from elders to their children and their grandchildren and so on. This is a traditional knowledge and ability to be able to feed and nourish ourselves and where we can spend the time to reflect upon the lessons of our forefathers. Churchyards are the perfect place in which to identify and learn about a diverse range of edible plants. There is also an acute shortage of allotments and a small but increasing group of parishes and mission centres in England are giving over parts of their churchyards or neglected land around their buildings to cultivating fruit and vegetables amid surging demand for grow-your-own food. These community-based gardens offer local residents the opportunity to get together with their neighbours and friends to grow their own food, flowers and plants. For further details see Devon Churches Green Action or contact David Curry on david.curry@arocha.org or 01392 294940. 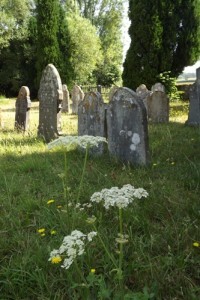 Living Churchyards and Cemeteries: The Dorset Scheme is managed by the Dorset Wildlife Trust. The Dorset project started in 1996 and over 100 parishes have since become involved. For those starting out, Living Churchyards Packs are available from DWT. These contain a series of leaflets with information on different aspects of management for wildlife in churchyards, plus some past newsletters.